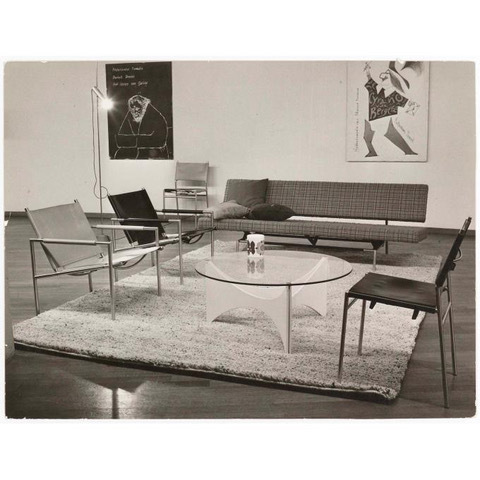 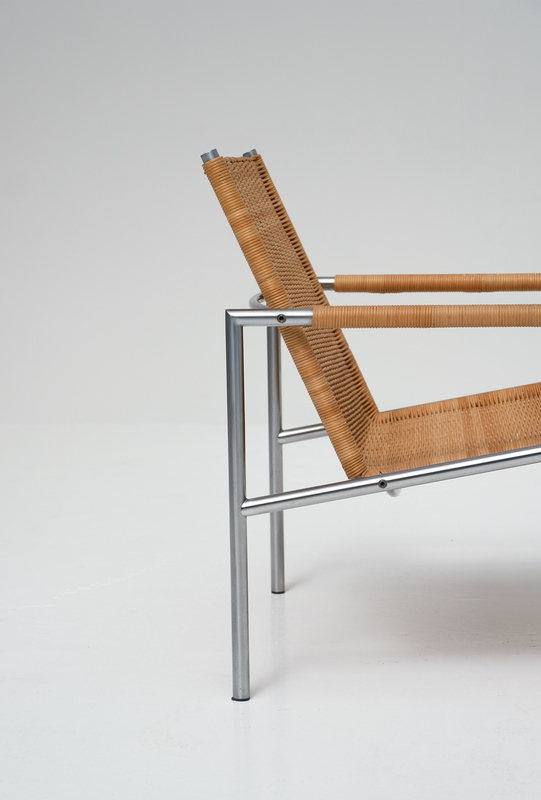 Dutch designer Martin Visser had an eye for minimalism, aesthetics and materials. 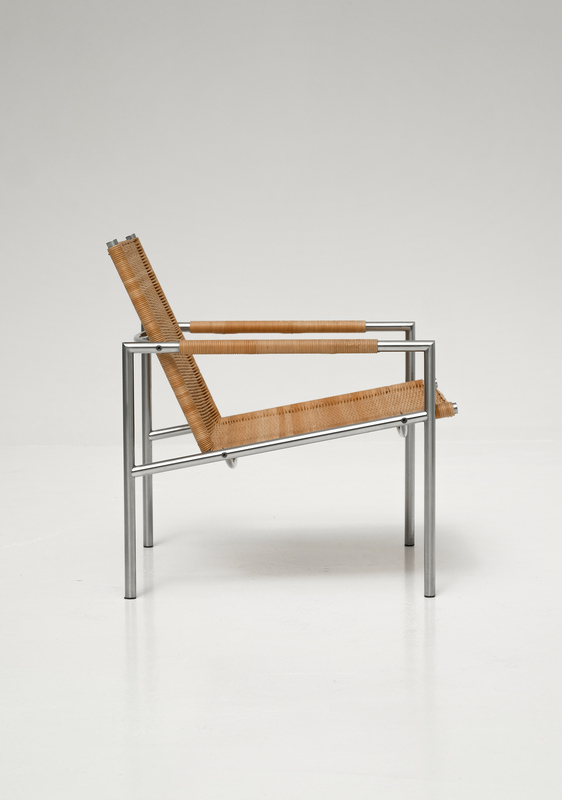 His use of square steel tubing for the legs of his chairs, tables, and storage pieces has become his signature. 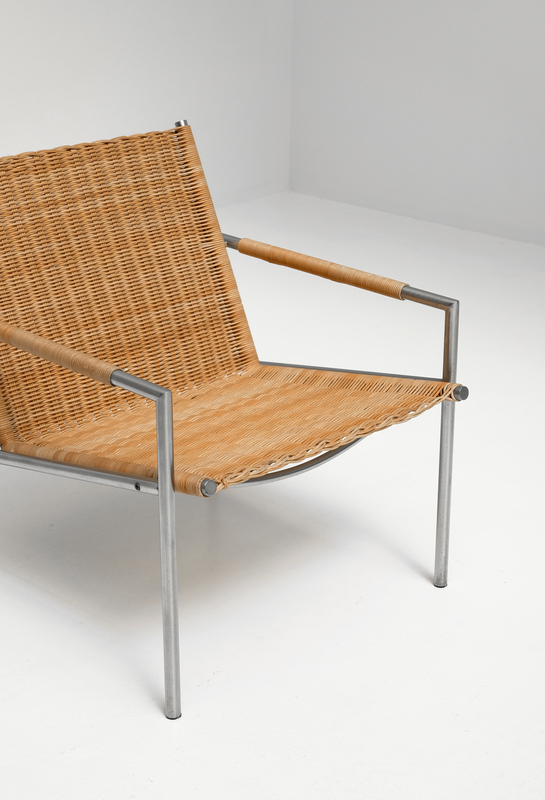 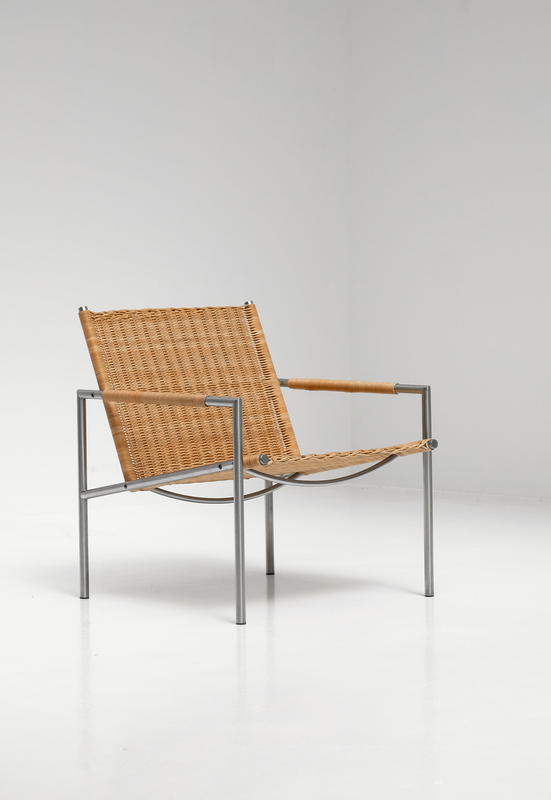 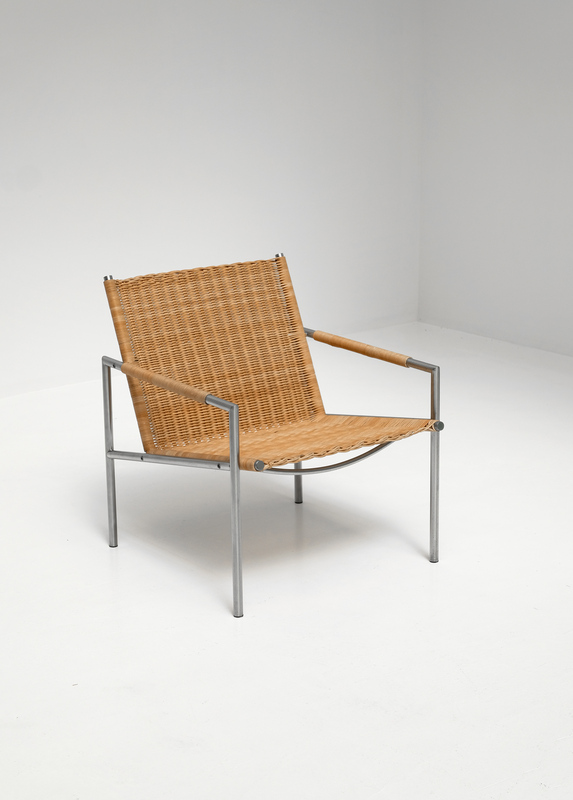 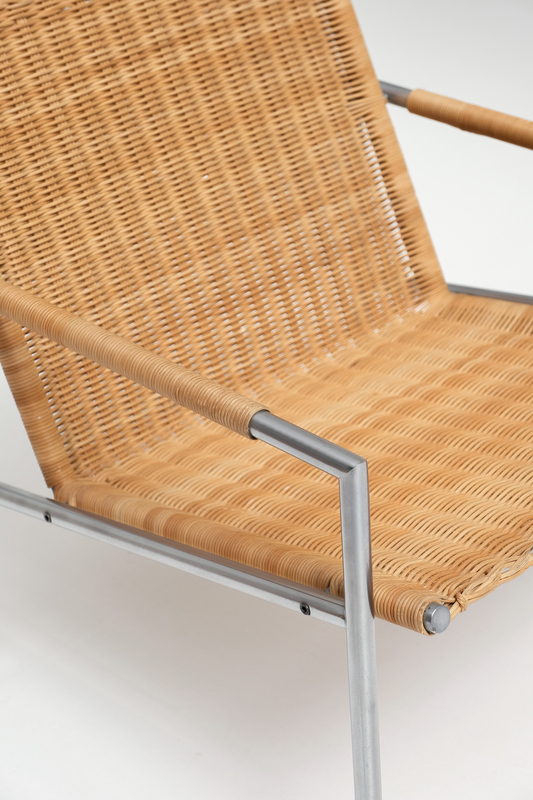 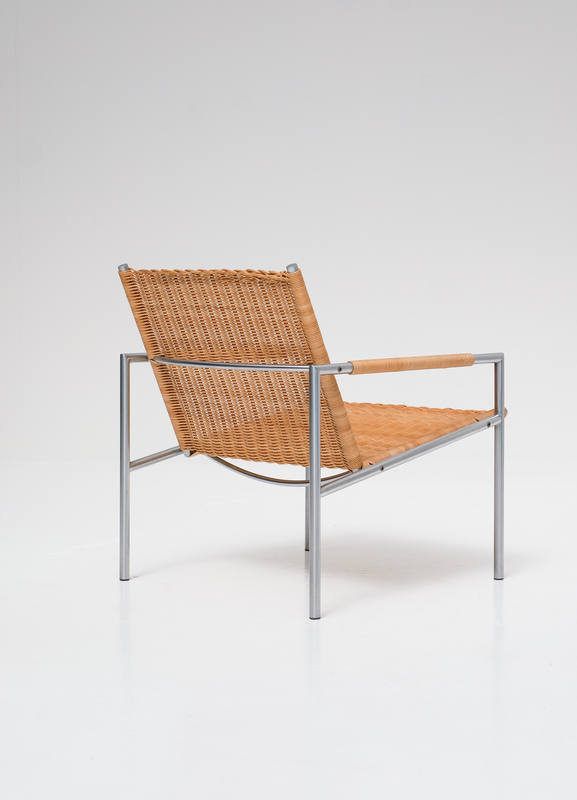 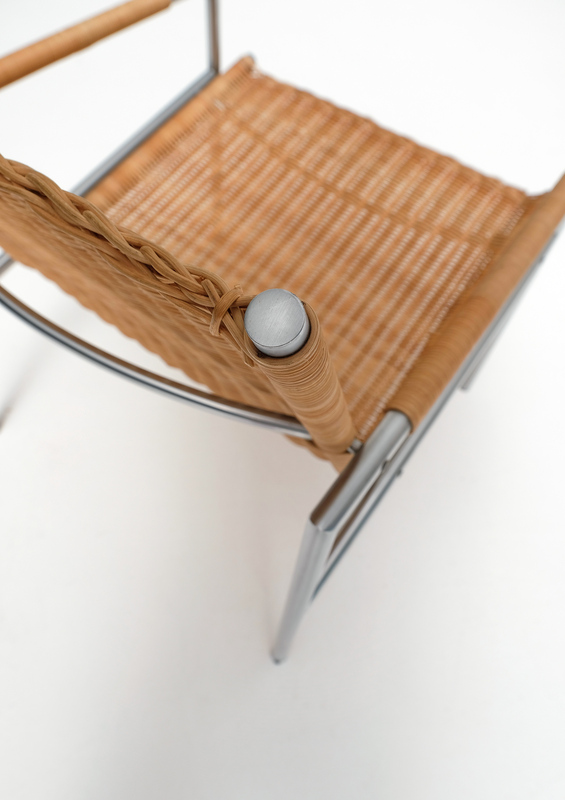 This lounge chair he designed for Spectrum is one of his well-known designs of the 1960s. 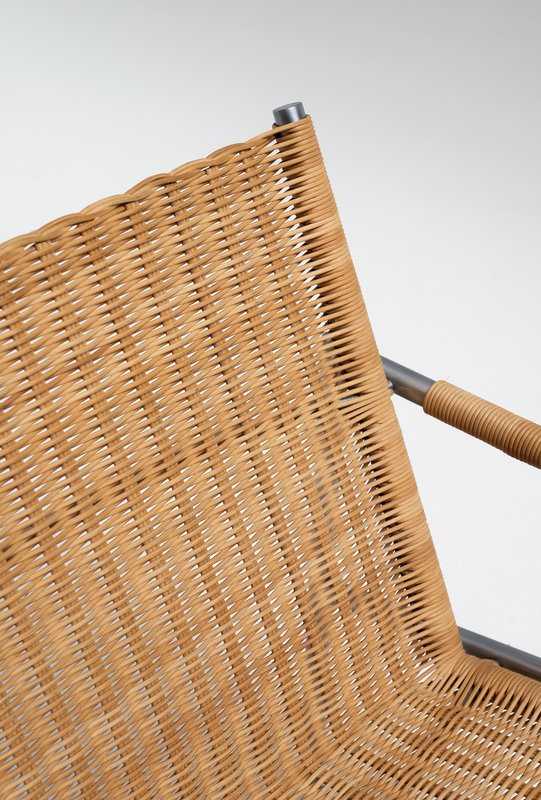 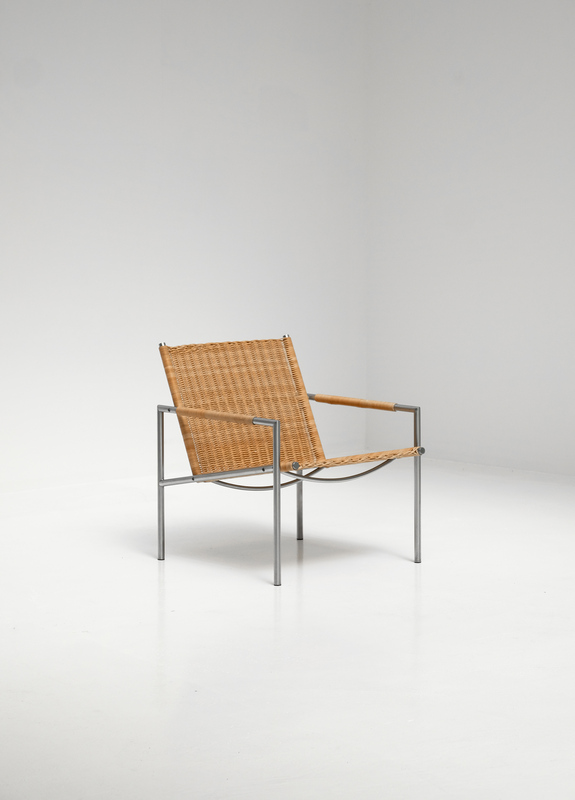 It has a chrome metal frame and woven rattan seat and back, all in an excellent condition.